With a tradition of durability, reliability and stability we are committed to designing and manufacturing the most reliable, stable and safe RF power systems available with the highest service levels. Our aim is to introduce cost-saving ideas, expand applications and improve engineering innovation in RF power applications. 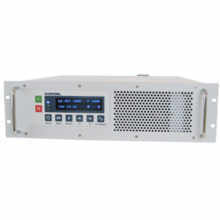 XP Power provides RF generators and matching networks from 20kHz to 100MHz in a wide range of power outputs from 50W to 10kW and beyond, including frequency agile and pulsed applications for a range of semiconductor fabrication, industrial, surface modification and medical device applications. Our customized RF solutions provide RF power generation and matching solutions, optimized for performance, reliability and cost for plasma and other complex load applications.